The days are gray and cold now. Today was a high of 23 degrees. There are snowflakes dropping softly every once in a while but nothing is sticking yet. The hardest part of living in Michigan, for me, is not the snow, but the gloomy days. I think I could take winter better in the sunshine. I've been having fun working on my blocks for the IG quilt along that Lori is hosting. It's called, "Have Yourself A Quilty Little Christmas". It's not too late to join in, as new people are coming on daily. There's nothing like Christmas blocks to give you some holiday cheer, even in the gray cold weather! So pour yourself something warm and head over to Lori's blog to read more about it, then join in to get your Christmas groove on! Your blocks are adorable! I am stumbling through IG....can you give me some idea of the size of the blocks, or the size of the completed quilt layout please? 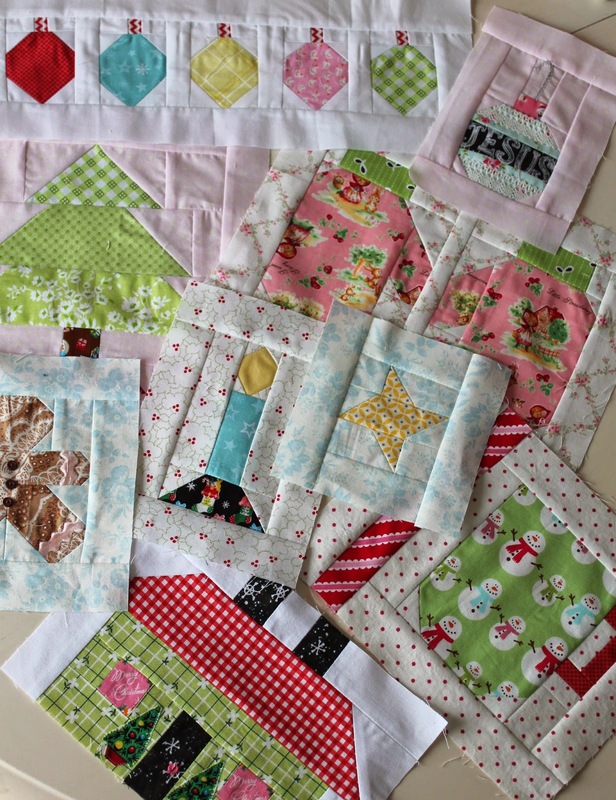 Not sure I can tackle a big project right now, but these blocks are so darned cute! Your new block is so pretty my dear. 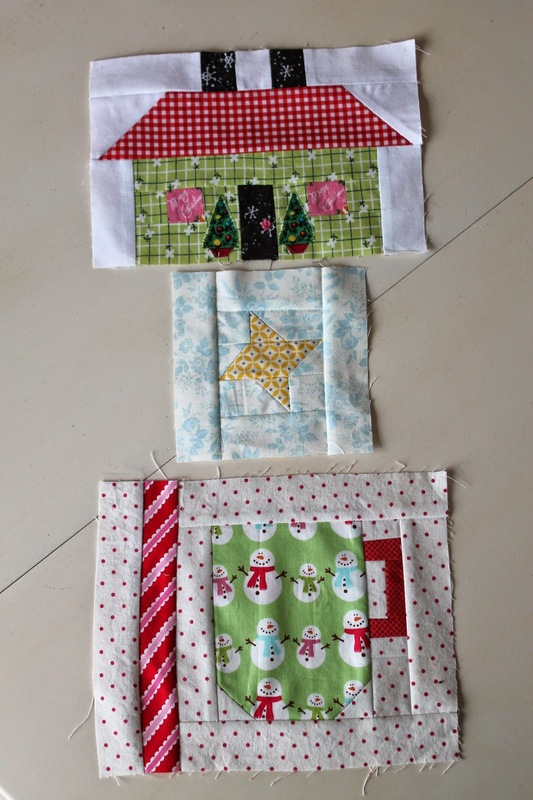 Oh boy I so love your Quiltly Christmas blocks. I am a slow moving train on this quilt along. LOL! Love your blocks! It's the Most Wonderful Time of the Year! I can totally relate to the gloomy winter days being hard! Love your blocks, Renee!!! and your blog is looking gorgeous!!! I hadn't seen the new header yet. cute! where or did you do the "Jesus" fabric? I have loved seeing your blocks! Wish I had time time to make them, but I have a winter themed BOM that I am already several months behind on. I enjoyed seeing your Christmas blocks, I don't know how you and Lori do it, to give everything that awesome "scrappy" look! Great job! Love the new design for your blog. Renee, your Christmas locks are adorable. Thank you for bringing the Sunshine through the gloomy clouds. I love this quilt, I just wish I had enough time to join in! I have been working on decorating for Christmas, and it's a good thing I started with lights and candles everywhere. Like you the gloomy days are the hardest for me to bear, but twinkling lights all through the house help:>) That, and a vitamin D supplement every now and then! It is fun to see your Christmas blocks. I wanted to join in on this project but knew that I should finish a few things first. I love the fun fabrics you have used in your blocks.